Hi, all! How has your summer been treating you all? I’ve done some relaxing with the kiddos, some cleaning, and – a little at a time – chipping away at some konmari action. I’ve sifted through kids’ clothes more than I’d like to admit. Time to try shoes; they’re way easier! So, who wants to party?!?! As with years gone by, I thought I’d stop by to give you the rundown on Hadley’s recent fourth birthday. We held his celebration the Sunday before his birthday (we hit up the zoo on the actual, low-key day) at my in-laws’ house. Their house and yard is nice and big, so we were super grateful they offered use of the space. 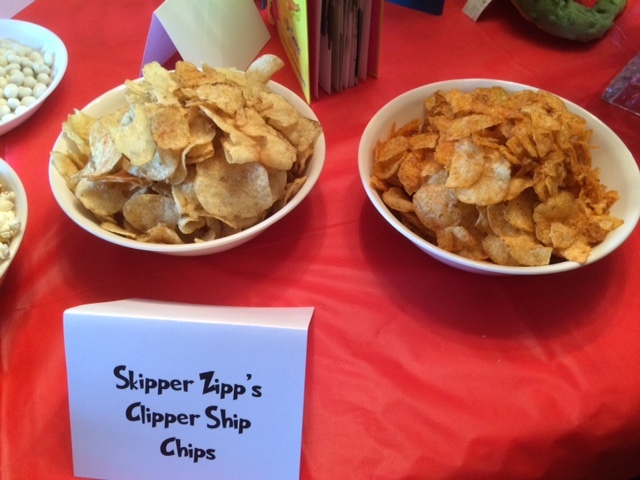 As with past years, we went with a theme. 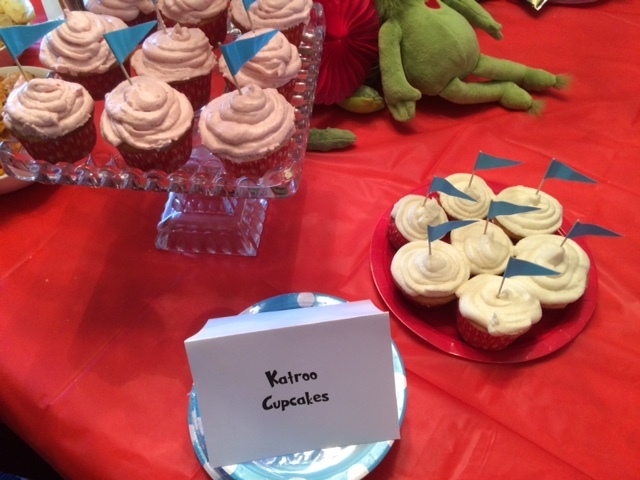 I think it’d be too difficult to make the party, well, a party without a theme. Just too scattered. So, there could have been several with all of Hadman’s interests these days, but we landed on the author of his favorite books: Dr. Seuss. What’s not loads of fun about that?! Seriously, I ask you. We hate to use tons of disposable (i.e. non-green) stuff, so most of the stuff we got was just solid colors that fit the theme but that could be reused. Red and light blue hanging swirlies, red gift bags, and any character toys my MIL or we had in our stashes. Oh, and books. Lots and lots of books. 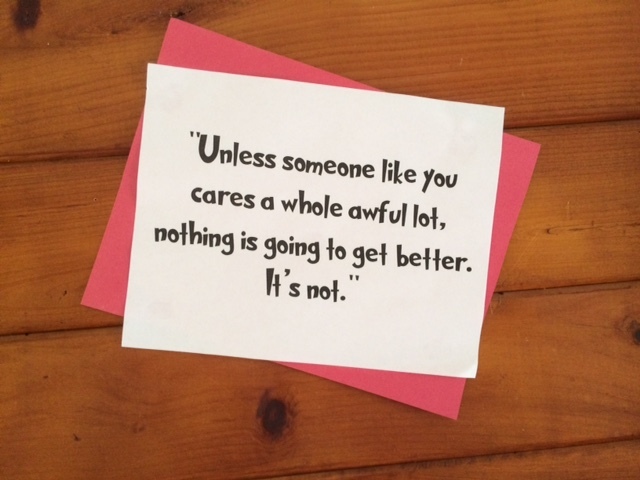 We adorned the walls with fun Seuss quotes (which I may just find space for at the library). 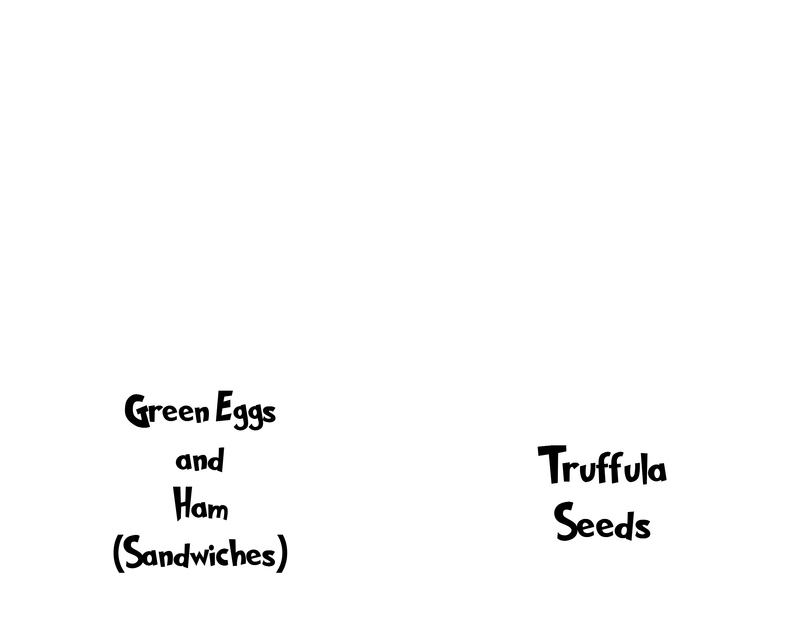 And I researched a ton of possible food names to fit the theme. A. Ton. We walked a fine line between healthy (lots of fruit, a salad, organic pink ink yink drink) and junk (chips, pizza, subs). Then there’s the in-between: popcorn that my husband made and slathered with butter, “Truffula seeds” that were yogurt raisins (but way non-organic), homemade organic cupcakes, and forcing my mom to make green deviled eggs (they were perfect although she went light on the green food coloring…she seemed to think they were disgusting, LOL). But, it was all freakin’ delicious and there was a good mix of options for every eater. As for the fun stuff, we lucked out that when folks first arrived the weather was nice. My parents-in-law borrowed a perfectly-sized bounce house from a friend (which was a huge hit), so that worked up an appetite for the kids. After some awesome gift opening – the kid was hilariously gracious and grateful for EVERYTHING…except the “big gift” of a big boy bike (ya win some, ya lose some) – we tried out a game I had stayed up late to make the night before. 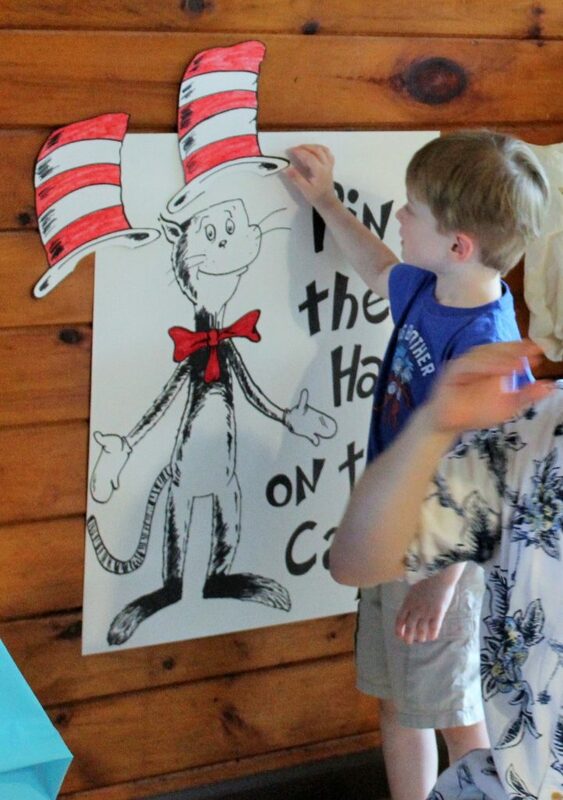 It wouldn’t be a Dr. Seuss party without a “Pin the Hat on the Cat” game, right? Right! 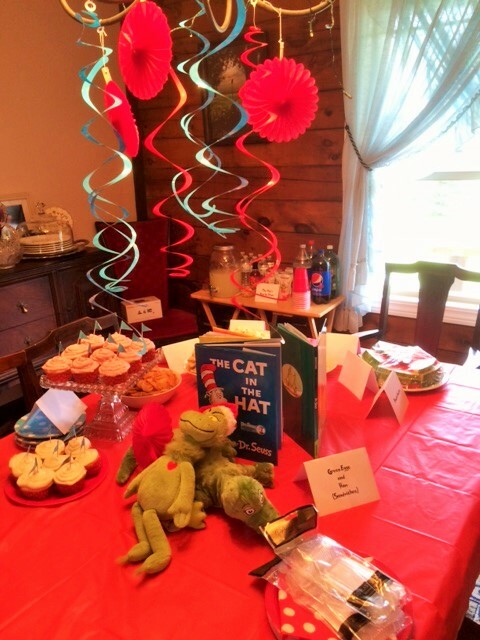 After that, we had a rousing game of “I Can Do That!” (a Cat in the Hat game my BFF Beth gave Hadley last year that was PERFECT for this shindig). It gets players moving and trying for points by attempting silly tasks, plus it was just the right length. Considering it had started to rain, I was glad to have a couple of indoor activities planned! 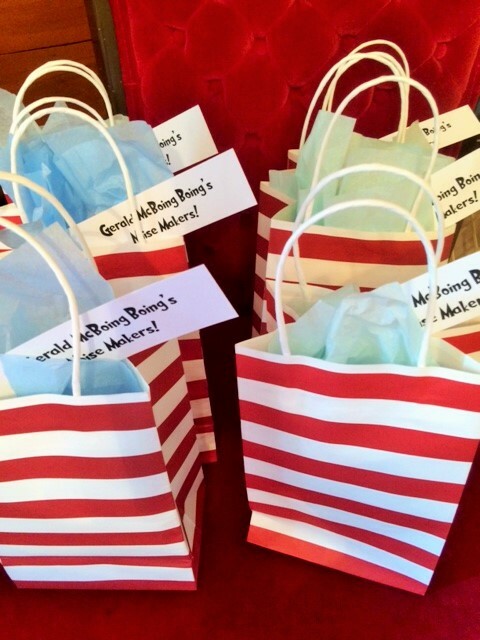 In case you can’t read them, they say, “Gerald McBoing Boing’s Noise Makers!” Several of ’em. It was seriously a super fun time, and after a bit of planning, pretty low-stress and enjoyable even for we parents. The 5-kids-under-5 were all so good and fun and were hilarious to see interacting with each other. Overall, we couldn’t have asked for a better time and it totally made up for Hadley’s super small, sick b-day last year. Get basic colors and prints (think plates or napkins) that help set the mood. Red and turquoise are great, plus some polka dots or red-and-white stripes. Add some whimsy. Whether streamers, homemade Truffula trees with tissue paper poufs, or colored swirly things, add a touch of fun in simple ways. Use whatchya got. If your family has any Seuss character toys, pull ‘em out! The same goes for your favorite Seuss books. You can display them all over or have them stacked to put food or gifts on. Quotes! 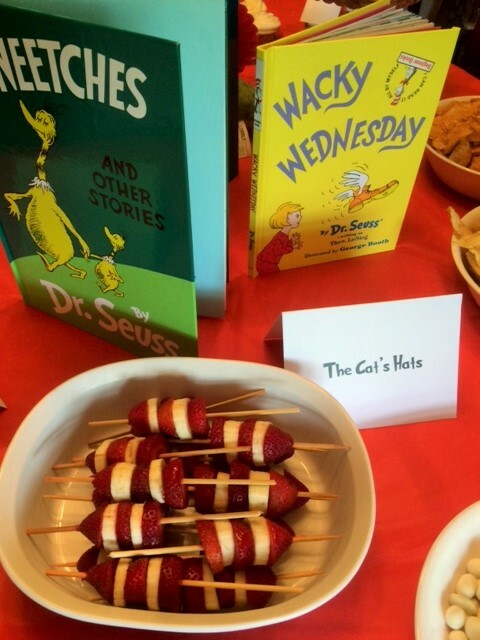 You can’t have people read all the books to put them in the mood, but using a Seuss font to print out your favorite will offer a fun way for grown-ups to brush up on their Dr. Seuss. Fun – Don’t overthink this part. Birthdays are by nature jam-packed with activities to keep folks busy. By incorporating one or two games, max, you’ll have a fall-back in case it rains or there’s otherwise a lull. “I Can Do That!” Game – I think it’s available at toy stores, and it would be a great addition to your family’s games as well as for a Seuss party. Super simple and super fun! 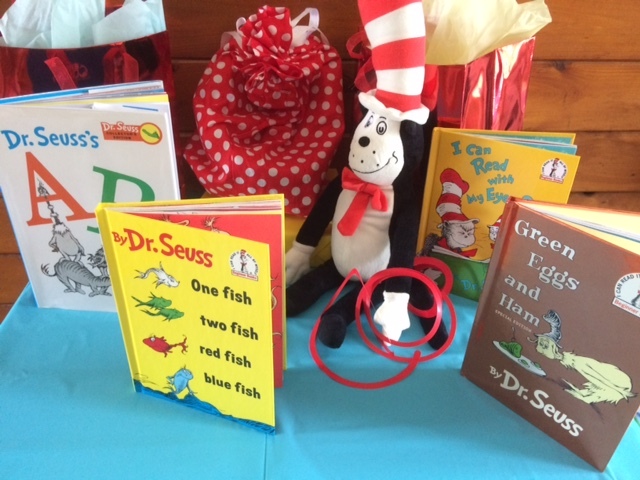 Seussville Activities – If you don’t want to buy the aforementioned game, check out the activities at this great site. A step up from coloring pages, it gives kids some low-key fun that fits the theme. There are also some cool group activities like Wacky Whispers. I know it says it’s for educators, but they’re for one and all! Whatchya think? It may not be Pinterest Perfect, but that’s not our goal. Just some extra touches to make the day super special and memorable and we’re good! 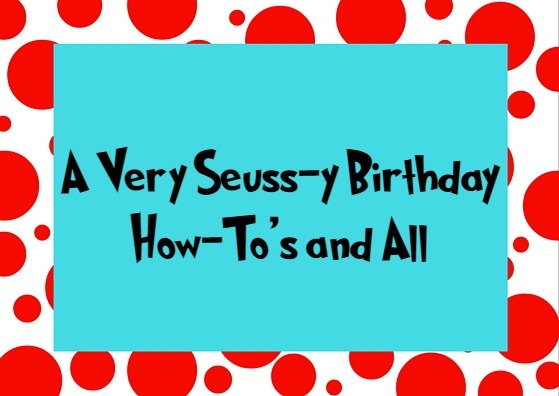 OH, AND HERE’S A LINK FOR FREE PRINTABLES TO USE AT YOUR OWN DR. SEUSS BIRTHDAY PARTY! Check out Hadley’s first and second (last year was subdued due to illness) birthdays if you’re interested, too! Not sure what the heck’s up with the images.